Mark Hix’s menu is simple – seasonal sharing starters, followed by chicken or steak. 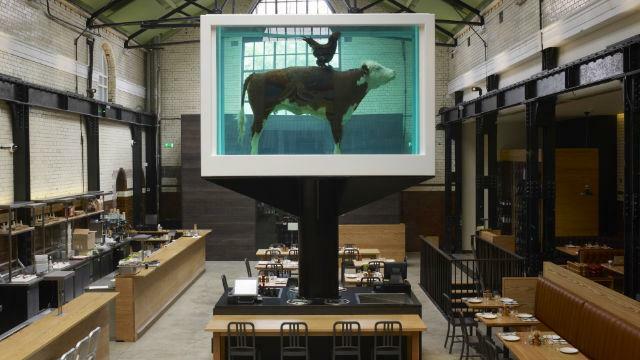 A mezzanine floor offers private dining for up to 36 guests with views of the restaurant and the specially commissioned artwork by Damien Hirst featuring a cow and a cockerel. Mini-Marks bar offers cocktails and bar snacks.